Girls kept it short and sweet in bright summer dresses, rompers and crochet tops. It was the perfect way to mix comfort with style for three 90 degree days. 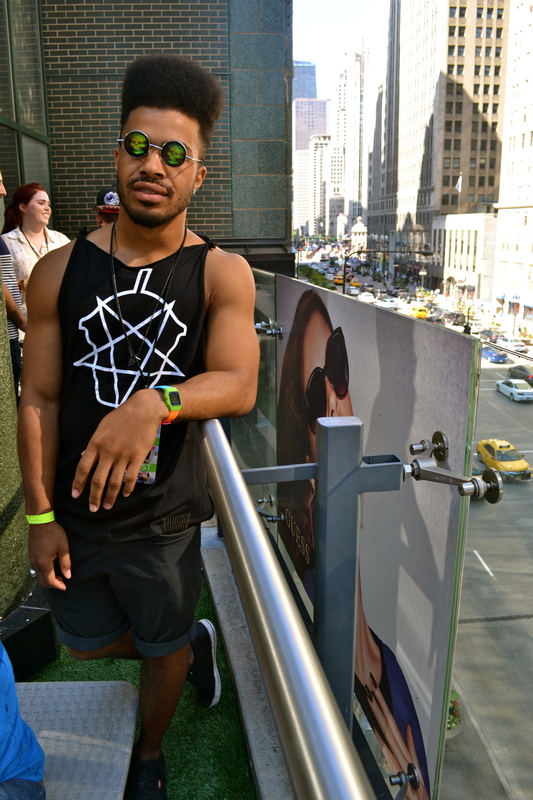 Short sleeved button downs and colorful tanks were the trend for guys at this year’s festival. Guys kept the look interesting by choosing button downs in plaids or polka dots and pairing them with more subdued bottoms – or vice versa – taking a plain tank and adding a pair of tribal print shorts for a twist. 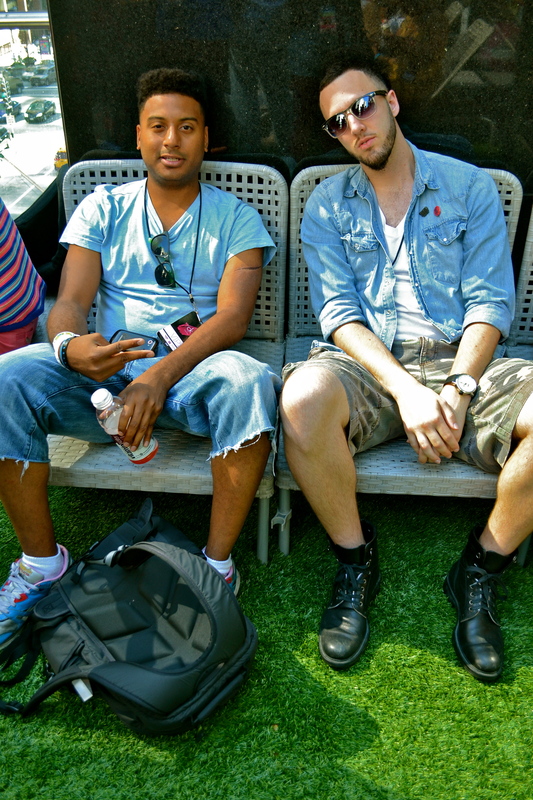 Jean shorts were a hot item on both guys and girls. 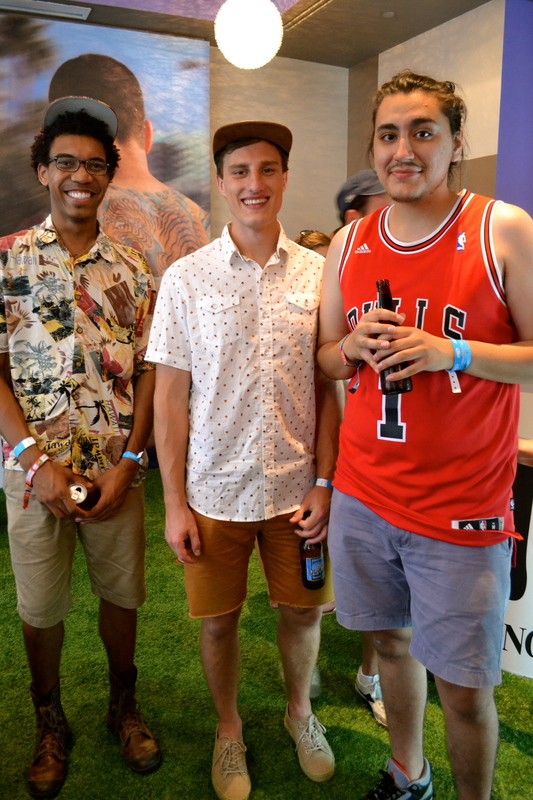 Varying in lengths, colors and details, they were seen on a majority of the Lolla crowd. My favorite looks dressed up a standard pair cutoffs with a sleeker top- such as the silk top above covered in bronze jewels. 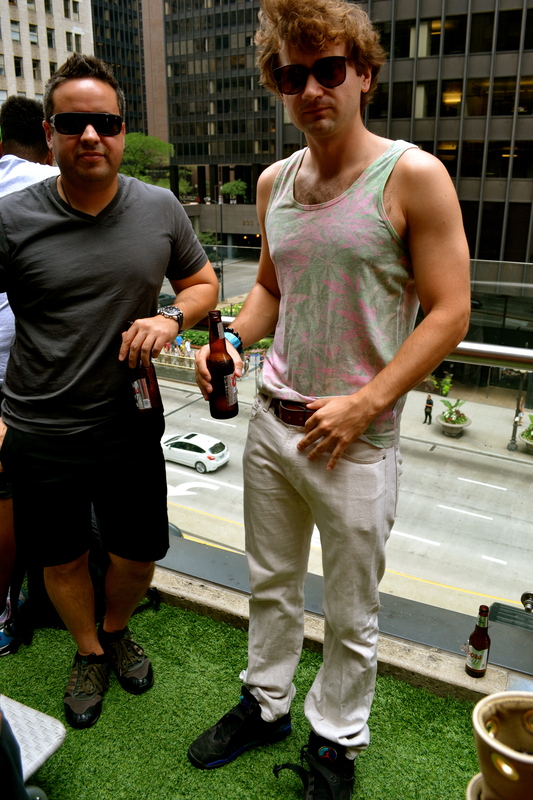 Rugged summer boots and Toms were the shoes of choice for Lolla attendees. They especially came in handy for the Grant Park mud trek after crazy storms hit Chicago Saturday afternoon. Sometimes it’s the accessories that make the outfit- from a pair of crazy sunglasses to an elaborate airbrushed tattoo, pieces with unique qualities allow you to stand out from the crowd in a great way. Looking good! 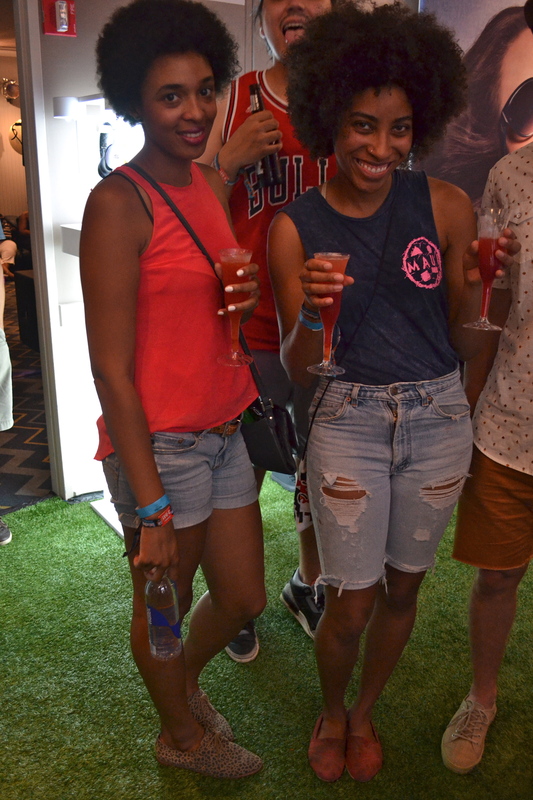 We saw so many great styles over Lolla weekend!